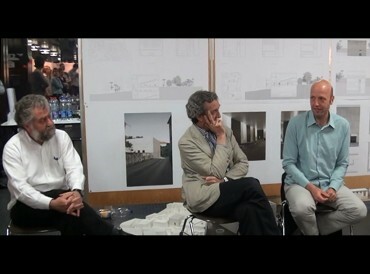 Guests: George Arbid, Rafael de la Hoz & Urs Primas. Map of Locarno with the three locations proposed. Site I: project by Orkun Kasap. Site III: project by Tobias Tommila. 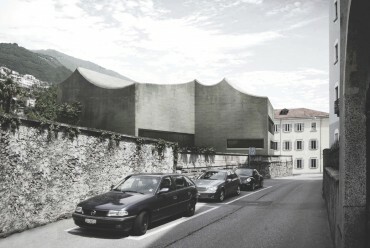 We have proposed to design a building for the “Cineteca Svizzera” in the centre of Locarno in the Spring Semester 2011. Located on the banks of Lake Maggiore at the foot of the Alps, the medieval town of Locarno hosts since 1946 the Festival del Film Locarno, one of the oldest film festivals in the world, alongside Venice and Cannes. Every August, for eleven days, as an “Instant city” with temporary facilities, Locarno becomes the world capital of auteur cinema. The aim of the new building is on one hand to increase the facilities for film projections during the festival and on the other extend the presence of the cinema in the city during the whole year by projecting some of the nearly 1500 films that the Cineteca Svizzera collects since 1943. Also, in a metaphorical way, our aim is to relate architecture (with its physical reality) with the real fiction of the cinema. The project, including two movie theatres, exhibition space and administrative facilities, has to deal both with the urban context of Locarno and with the cultural context of the Film Festival. The projects are located in three different sites around the main space of the city and the Festival, the Piazza Grande. The site I is located in between the Piazza and the Lago Maiore, defining the character of the public space between the square and the lake. 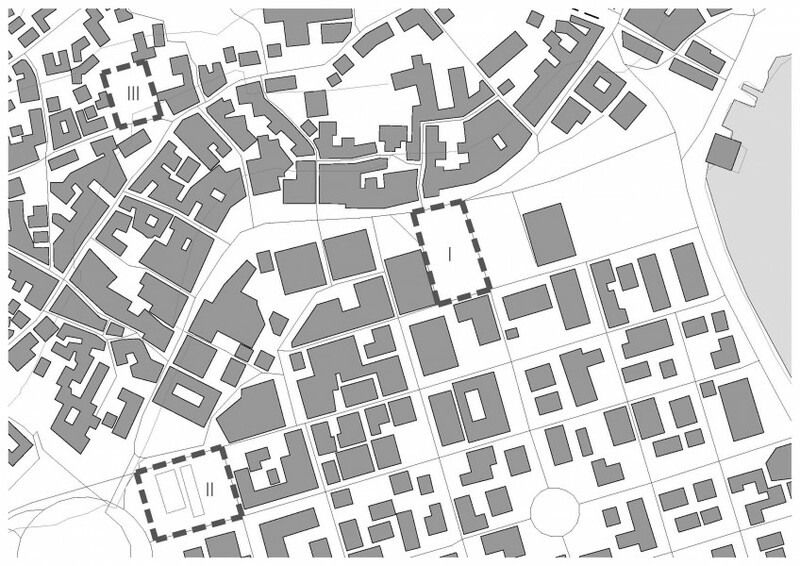 The site II is on the west side of the Piazza, in relationship with the infrastructure of the big Rotonda and its network of public spaces at different levels. 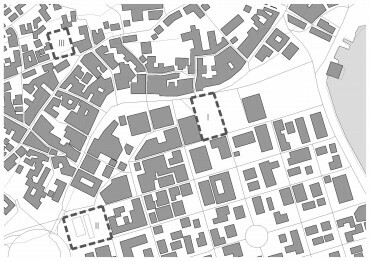 The site III is located in a former garden of a villa in the old town, in the limit between the city and the steep topography of the surrounding mountains.